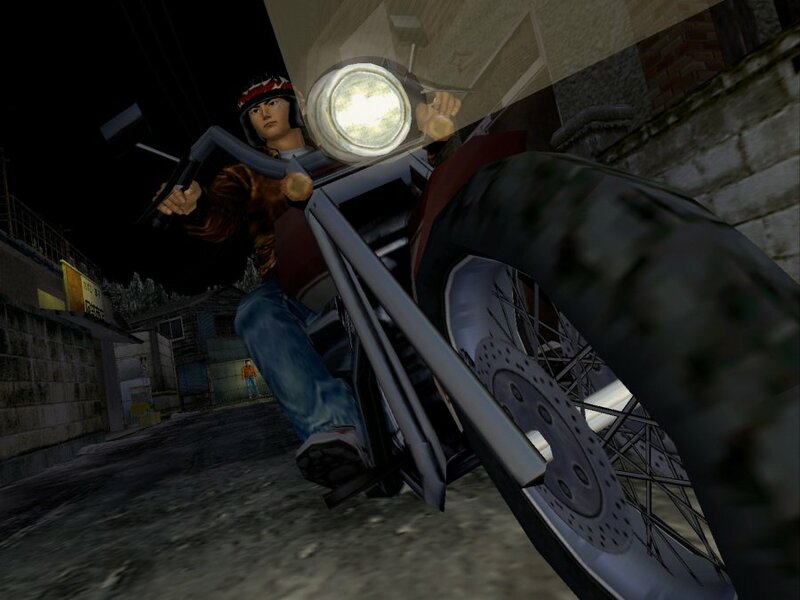 Shenmue may be considered a cult classic, but it’s important to remember that Ryo Hazuki’s revenge mission divided critics when it originally released on the Dreamcast almost two decades ago. SEGA legend Yu Suzuki spent a small fortune on the first foray’s dingy Yokosuka setting, but despite being wildly original, the game attracted both criticism and acclaim for committing rigidly to reality. The sequel improved on the concept dramatically, expanding on the scope and introducing a raft of pacing improvements, but the series was always considered an acquired taste – and 20 years later, that very much remains the case. Save for a late camping excursion in the Guilin countryside towards the backend of Shenmue II, the franchise bucks the trend of idyllic settings, settling for the drab backdrop of mid-80s Japan and Hong Kong. The game’s revolutionary FREE gameplay format promised Full Reactive Eyes Entertainment at the time – better known as open world today. But unlike the likes of Grand Theft Auto, the sandboxes of Shenmue are deeply interactive, with a seemingly limitless number of buildings that can be entered, and tangible objects that can be collected and inspected. This is all while the world independently goes about its business, wholly dependent on the time, day, and weather. It was revolutionary at launch, and there’s still nothing quite like it today; you can see components of the series in franchises like Yakuza and Persona, but Shenmue very much stands as its own thing. Of course, there are drawbacks to its structure: the first game is unevenly paced, with very little happening in its opening act beyond the breadcrumb trails of some basic detective work. 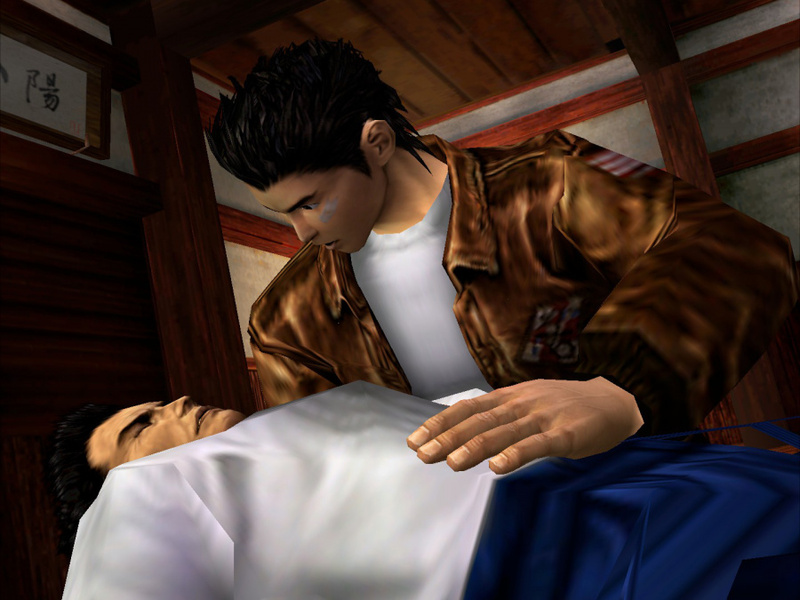 Events unfurl after your father is murdered by a mysterious Chinese man named Lan Di, and both games in the Shenmue I & II compilation see you trying to track him down. While he’s the main thrust behind the fiction, the series is more about the relationships that Ryo establishes along the way. The infamous voice acting is just as atrocious today as it was in the early 2000s, but this PlayStation 4 re-release allows you to toggle between English and the slightly less horrendous Japanese dubs. Both tracks are plagued by terrible mixing and compression, as it seems SEGA failed to hold on to the original recordings. While this is an unavoidable irritation, it’s unfortunate that the ports are hampered by prolific audio bugs, which stop key sound effects from triggering at the right time. In fact, there are a catalogue of small-to-medium technical flaws that affect both games, which will need to be promptly patched. Some of these can, sadly, ruin key scenes if you’re unlucky. If you immerse yourself in these worlds, though, there’s really nothing quite like them. The original game is claustrophobic but it feels appropriately homely, as Ryo is on first-name terms with all the locals and its layout becomes imprinted into your brain. Shenmue II, meanwhile, which takes place in Wan Chai and later Kowloon, has an epic scale to it – the maze-like structure of its various urban quarters make you feel like a foreigner far from home. The latter game is much more consistent and includes various quality of life tweaks to enhance the overall experience, like the ability to skip time so that you don’t have to sit twiddling your thumbs waiting for the next event. But a lot of Shenmue’s appeal is simply exploring and familiarising yourself with the world. There are tens of buildings that you can enter and hundreds of people that you can talk to, but none of it is necessarily required to further your quest – it’s all optional world building designed to further submerge you into its lore. And when you do choose to focus on advancing the plot, the game introduces a range of endearing characters that, while never particularly well written or acted, will live with you longer than the cast of most games. There’s a thoughtfulness to the series’ fiction that impresses even in 2018 as long as you’re willing to give it the time and opportunity. And that’s the thing: Shenmue is, like we mentioned at the start of the review, an acquired taste. Its penchant for the mundane means that you can easily find yourself wasting hours carrying crates for a quick buck, but that’s part of what sets it apart. It’s rare to see the realities of everyday life take centre stage in an action game, but here you need to go to work and get to sleep at a decent hour. 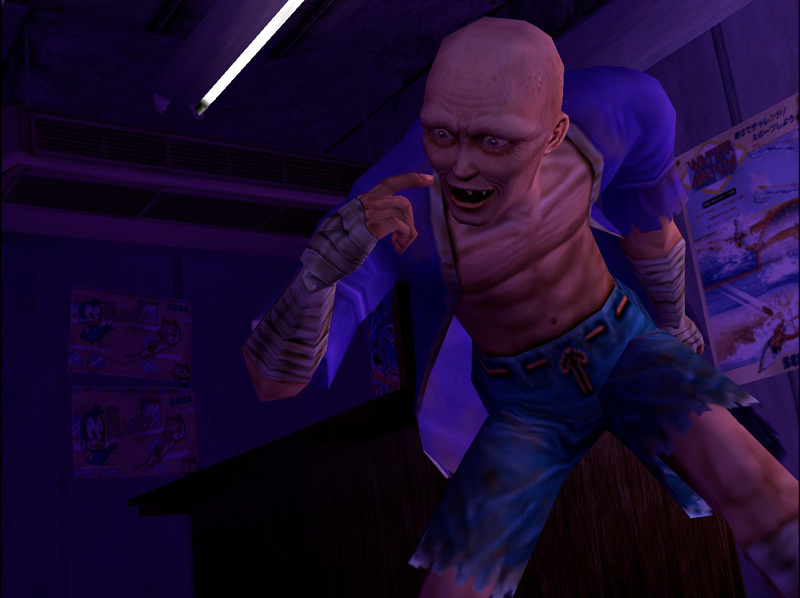 There are a smattering of functional fighting sequences – the project was originally billed the Virtua Fighter RPG, after all – and its infamous QTE segments inject some cinematic action into the otherwise ordinary events elsewhere, but you have to be prepared for long stretches of gameplay where not a lot happens at all. The ports themselves, aside from the aforementioned bugs, are adequate but uninspiring. You can toggle between widescreen and the original 4:3 aspect ratio, while a new high resolution rendering option allows you to significantly clean up the image quality for a modern display. All of this can be altered on the fly, while you can switch between the various audio dubs without needing to reload as well. 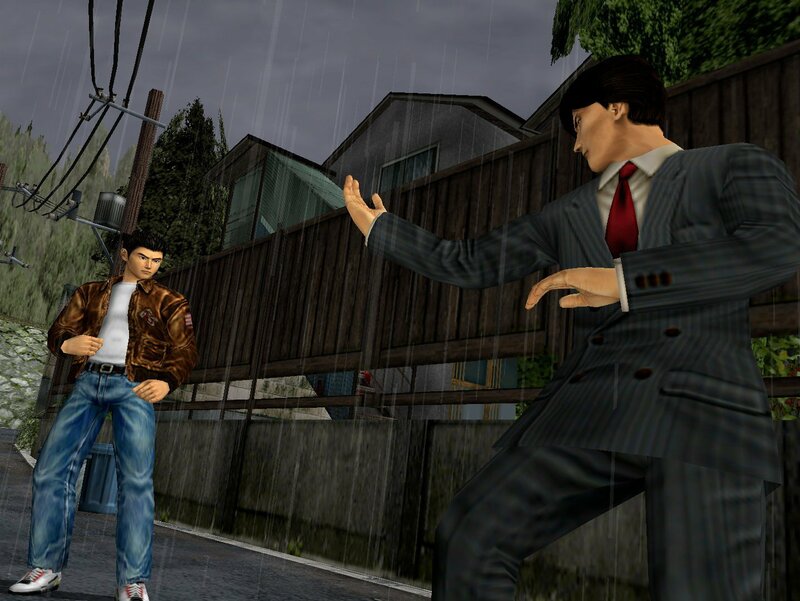 The textures and geometry remain identical to the originals, although the art style holds up impressively even today, and the lightning fast loading times owing to the modern hardware really improve the experience – particularly in the larger Shenmue II. 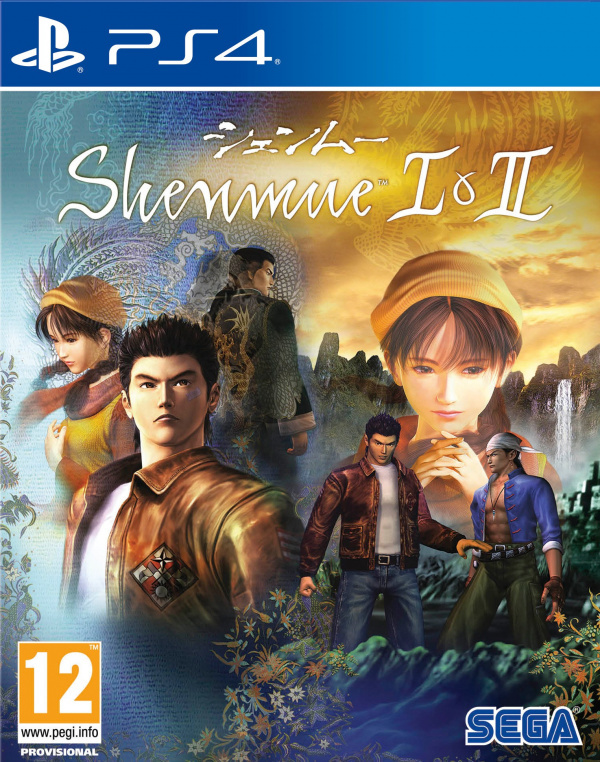 Shenmue I & II divided players and critics on the Dreamcast, and will continue to do so on the PlayStation 4. These games are an acquired taste, but there’s nothing quite like them, and if you can overcome some of their more awkward idiosyncrasies, you’ll be rewarded with a set of revolutionary sandboxes that impress even today. The ports are let down by a handful of recurring bugs, but are otherwise presented authentically, and while the voice acting is no less embarrassing in 2018, there’s a charm to both the script and performances that can be endearing to an open mind. There’s no question that these titles deserve their place in the annals of gaming history – but whether you’ll love them or loathe them will ultimately come down to personal taste. Great review @get2sammyb. You pretty much hit the nail on the head with this one. It is an aquired taste and the Shenume series is one of those you either love it or hate it series, there is no in-between. I think you pulled it off Sammy. A great balanced review. Personally, I'm disappointed by the laziness of Sega. These days, most publishers release a remaster of sorts. Instead they release a buggy port. Hopefully by the time I get around to playing this, they’ve sorted out the bugs. It’s reasons such as this I always prefer playing games on original hardware vs. remasters. If it’s not bugs causing issues, it’s the fact they lose the original feeling of the game. At least with this they seem to have kept it pretty much untouched except for making it look better on a modern display, which is always welcome. A good case in point is the Shadow of the Colossus remake I’m currently playing. It’s great, don’t get me wrong, and I’m really enjoying it, but from what I’ve played of the PS2 original (I’ve only done up to the first Colossus), the PS4 remake is completely missing that eerie/ethereal atmosphere the original has. It doesn’t feel like the same world at all. I know much of the original feeling was due to hardware constraints (eg excessive use of bloom lighting), but it’s enough for me to want play the original after I’ve completed the remake, just to experience the game how it was meant to be. @GravyThief Are you suggesting that games were "meant" to be limited by the technology that was available at the time that they were made? I don't think I'm following your logic. @LaNooch1978 nope, but because of those limitations, games had certain characteristics that were present as a result of those limitations, rather than being there by design. A bit like the fog in Silent Hill; a necessity due to limitations of the hardware at the time, but all the better for it. Door opening animations in Resident Evil, necessary to hide loading screens but they added to the tension. Of course those things may have been included by design anyway, but the hardware of the time helped make that choice for them. I’m not saying limited hardware is better (it’s not of course), but I do like it when it makes developers think outside the box and we get a better game for it. I think remasters shouldn’t remove those aspects when being made on more powerful hardware. And back to SotC, the PS4 remake feels like it’s lost something in the transition, a “feeling” I get from the original but not the remake. I’m rambling now, but hopefully you see where I’m coming from. @GravyThief I see what you mean. Apparently an early idea for the SOTC remake was to have a toggle to enable the player to switch between versions at any point in the game,a bit like in the Halo anthology. That would have been really interesting. The best example for me is the fog in Silent Hill. It would be a completely different game without it. Can't wait to play Shenmue again. I never actually completed Shenmue II first time around. I really want to play these games, but introducing bugs to a port you've done little work on, and just releasing it is extremely lazy. Puts me off a bit. I've experience the messed up cut scenes a few times, which is a shame. They are the only glitch I have encountered, however. I think overall the games look great for their time, and as digital foundry covered, the new version largely resolves the frame rate issues, low res sky box, and adds some really nice bloom lighting to neon signs and street lamps. As for the gameplay, Shenmue is one of my favorite games, and nothing is quite like it. I played both games on Dreamcast at release, so is a good time to play through again prior to Shenmue 3. @get2sammyb Does your save import from Shenmue I to Shenmue II like you could on the Dreamcast version or is it a direct port of the Xbox version? @NintendoFan4Lyf You can import it, yes. The port is based on the Xbox version, though. The biggest issue is the awful audio, very unfortunate. Also, not sure if it's been patched yet but two cut scenes glitched out. @get2sammyb Awesome - for both statements! Though, it was nice to have the full collection of toys off the bat on Xbox. But I believe the time of year that you end Shenmue I and enter Shenmue II is also carried over - is this correct? I wonder if Yu Suzuki will come up with a way to import your Save file from this HD Collection. That would be an amazing tie-in and incentive to buy this. As soon as I finish Red Dead Redemption, I am going to pick this up! Absolutely loving playing through this again. Currently still on Shenmue 1 searching for something in Ryu's home. Think I need a key. This game is fully consuming me like only a few games have. I wake up and want to play Shenmue. I'm rushing home from work to sneak in an hour of Shenmue before bed. Bit like when I watch a classic film or TV show (Friends) I just want to live it that world for X amount of time. I even love the hammy dialogue and voice acting. The only part I haven't enjoyed was the infiltration part at the docks. That was painful. Feel I earned that silver trophy. Having played a good chunk of the first one now, it definitely looks smoother and the loading between areas is super quick. But I'm glad the devs haven't tinkered with the ports much. I've seen a few reviews for this, and I don't think I'm going to bite. If anything, it has gotten me interested in trying Yakuza, though with my backlog the way it is, it would still be a ways off before I played either of these in any case. Great review. I still want to play these games at some point. Just looking at these screens give some nostalgic charm that I want to experience. @RainbowGazelle @KingdomHeartsFan I don't think it's a lazy port personally. There are bugs as mentioned in the review (though I've only really had the sound effects issue) but I think it's probably harder than it seems to port these games to new hardware. @MadAussieBloke It's true I think. In many ways Shenmue has aged quite gracefully — it's still very playable. @GravyThief Well this is a port whereas Shadow of the Colossus was a remake. Not as impressive today but i still like it. 2 is brand new to me. these games are not going to play well for those without nostalgia goggles on. many people are destined to be greatly disappointed. i would rate these games 5/10 by today's standards and with an unbiased eye. the voice acting is dreadful beyond belief. the writing and story is medicore. the side activities are not engaging or well thought out. credit has to be given to the shenmue series for being the first 3d sandbox games on the market — even beating gta 3 — but that is all i can positively say about it. a relic in gaming history that has aged incredibly poorly on nearly every front. @Dange ha yes, the docks. Managed that on my second try somehow. Failing is useful though, if you want to advance days quickly to get closer to Christmas. Also really enjoying the play through again! I'm still dumbfounded that so many reviewers and critics today, many of them very popular, still choose to review a game like this as if it were a modern game. I say 'choose' because they do seem able to apply the 'don't judge this by modern standards'-rule when it applies to their own favourite childhood games. @get2sammyb A note on the end of Shenmue 1. I don't see access to the 70 man battle anywhere after beating the game. I know that on the DC version you had to save the completed game first but there didn't appear to be an option to save after the credit's rolled. Did you run into this as well? I'd say this is a pretty glaring omission from the port if it is in fact not there. @mazz Yep, it's a bug I'm afraid. @get2sammyb great review. Seeing how much you like this series, its great how u give such a unbiased, honest review. Still don't know if I'll get this. What's the price? $30 on the ps store. @get2sammyb I don't think you should be making excuses for Sega. The bugs you've mentioned, as well as those of other players, indicate a broken game to me. @KingdomHeartsFan Can only speak to the experience I've had. Mentioned the sound effect issues and also included reference to the problems other people have had. Nothing has been "broken" for me, though — very playable. @get2sammyb Yes, the glitches on the cut scenes are the only errors I've seen. Overall, the game is great to play and the fast loading makes all the difference. I don't know if it matters now but I bought a PS4 today so I was able to try the game out for myself. And as much as I'm enjoying it, within the first hour I had three cutscenes display random items of furniture (instead of the video) whilst the cutscenes' audio continued, missing sound effects, loud echoing stomping sound the house, faint muffled steps outside of it, and the first music in Yamanose glitching; With half of the music too quiet and sometimes not playing certain instruments within the music. It just feels like a bit of a mess.